Experience the power of All in One. The new All in One Soundbar with integrated subwoofer delivers powerful bass and wide sound coverage. 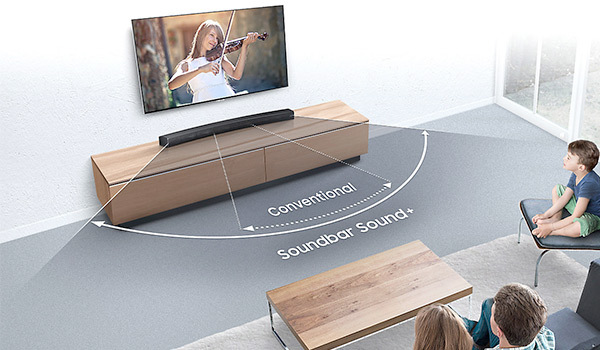 Discover unrivalled sound quality and enhance your home entertainment experience with a Samsung Soundbar. Use the table below to see which soundbar is best suited to you. Take a trip to another world, be at the centre of the latest blockbuster or sit in the stadium as you watch your team play. 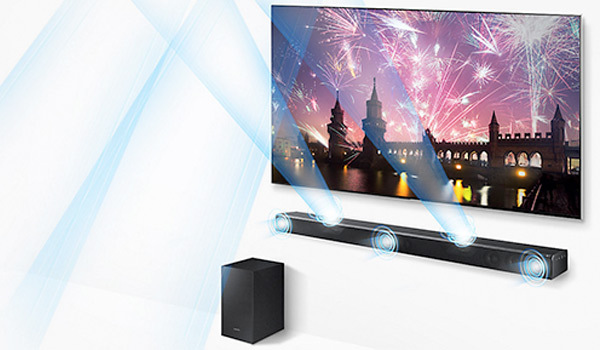 Our flagship Cinematic Soundbars place you right at the heart of every moment. 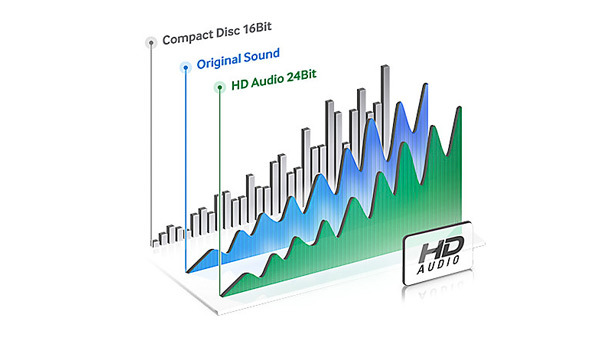 With up-firing speakers and Dolby Atmos*, crystal clear audio is sent pulsating around you. *Dolby Atmos available on HW-K850 & HW-K950 Soundbars only. Experience all of your sound from a single place. All in One Soundbars pack in spectacular high-resolution audio and a range of Smart features such as multi-speaker control, keeping you in control with every beat. Delve deeply into every drama and feel the emotion of every album. With bass that moves you from its one-body design, do away with subwoofers and make every seat the best seat in the house. Slim, sleek and minimal, our Soundbars with Subwoofers seamlessly pair through Bluetooth to your TV, giving you an incredible entertainment experience. Breathe new life into your favourite boxsets and hear every detail in the commentary of the big game. 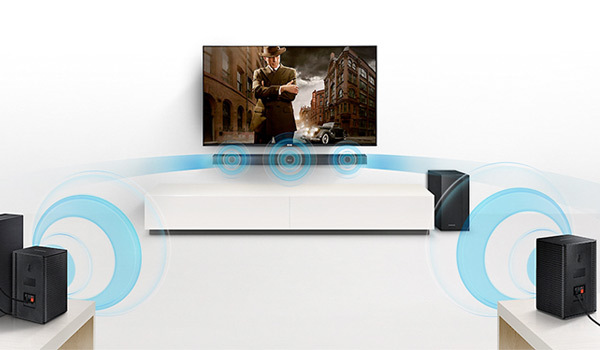 Each Soundbar comes with a single wireless subwoofer that sends deep bass pulsating from wherever you decide to place it. Keep it simple and clean. 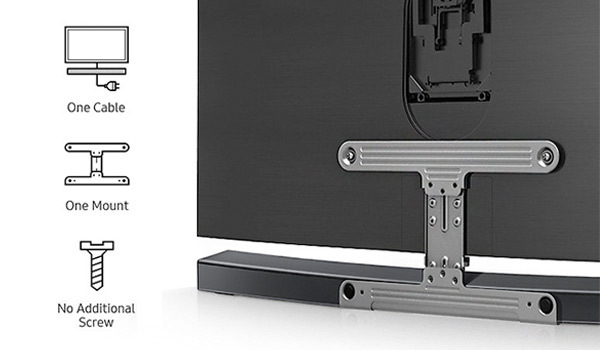 Mount the Soundbar directly on your TV without needing to make additional holes in your wall. Use just one cable to power both devices and remove the need for multiple messy wires. Hear deeper bass. 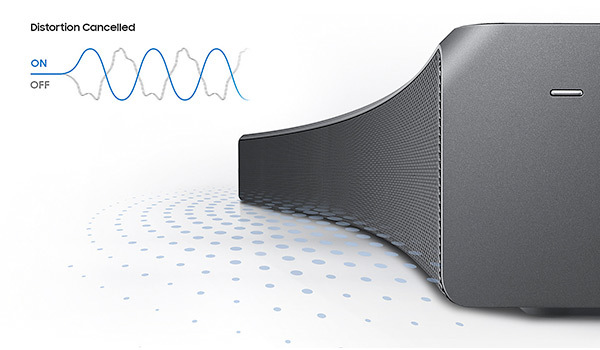 Samsung's Distortion Cancelling technology predicts and cancels out distortion before it happens, giving you deeper and more detailed bass without the need for a separate subwoofer. 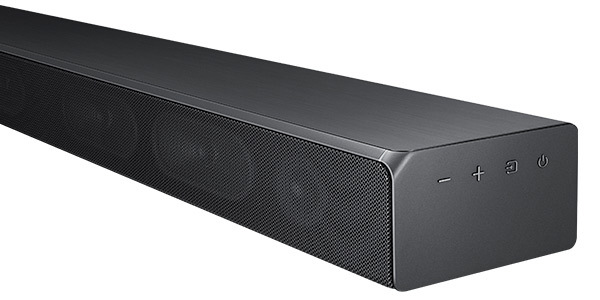 "The HW-MS650 is Samsung's best single-body soundbar yet." "Samsung's newest soundbar is supremely articulate." "The HW-MS650 soundbar is tremendous."